Today is my last official day with Arts Alliance Illinois. After eight years with the Alliance, I have accepted a new position as Executive Director of CHANGE Illinois a statewide public policy and political reform coalition. 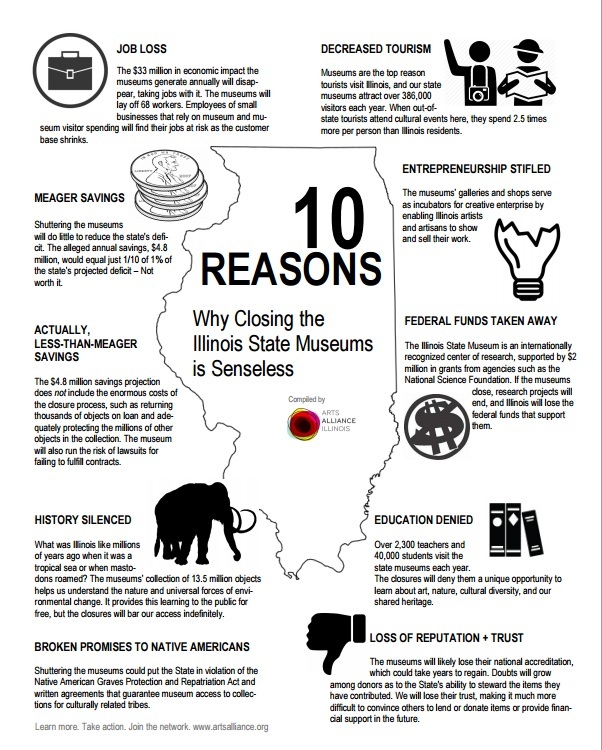 Yesterday at 5:00 pm, the Illinois State Museum and its branch facilities closed their doors to the public -- not just for the day but indefinitely. After 138 years of preserving our heritage and sharing Illinois’ cultural and natural history with the world, the state museum system is now closed.